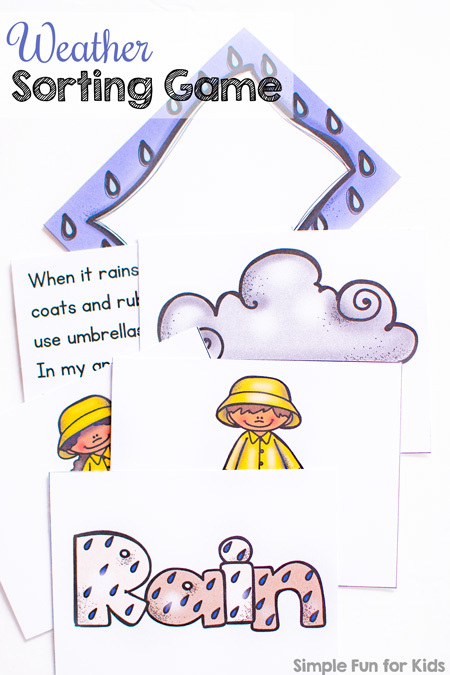 This printable Weather Sorting Game focuses on four different types of weather: rain, snow, thunderstorms, and warm/sunny. You can use the cards in different ways depending on your kids’ ages and abilities. The pdf file includes six pages of four cards with different weather-related images for a total of 24 cards for sorting. You can decide to leave out any of them. For example, one set consists of two short sentences on each type of weather; those cards won’t be appropriate for independent sorting by non-readers. They can still be sorted with the rest of the cards if you read them to young kids. Print out the pages you want to use and that are appropriate for your kids’ developmental level, mix them up and let your kids sort them independently or work with them. The cards also work great as matching cards for toddlers, either matching identical images or matching two (or more) images for each type of weather. Download your Weather Sorting Game! 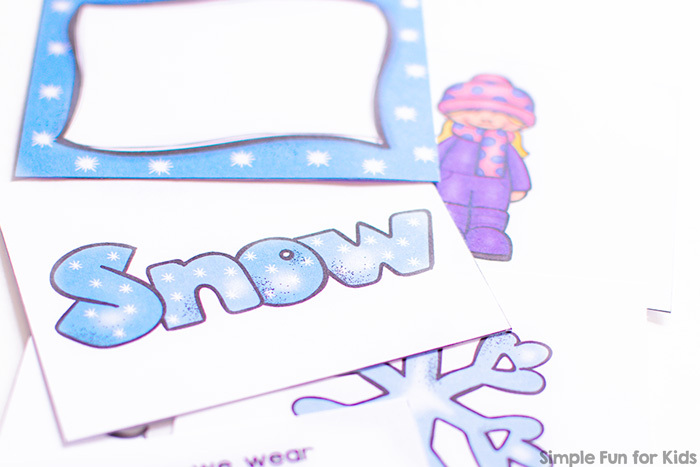 Are you looking for more weather printables? Check out what my friends have come up with! Thank you, I look forward to adding these to or weather unit!